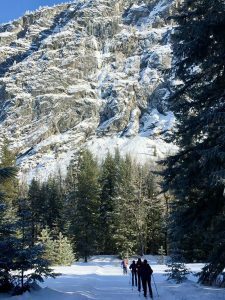 One mid-morning hiking group trekked to Lower Berley Lake, while another went to the Metolius River on Sunday, Nov. 18. 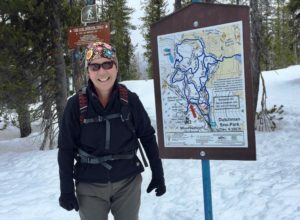 “Six CONC hikers traveled a route often covered by snow in mid-November,” says Roz O’Donoghue, who led the group to Lower Berley Lake. “The route began at Santiam Pass, traversing through the 2004 burn with the destination at Lower Berley Lake. Linda Frost led a group of seven hikers along the Metolius River, starting from the fish hatchery. The hikers did a five-mile out-and-back trip.